Meet our new Amazon Field Coordinator, Anna Maria! Ana Maria Gonzalez was hired as the Field Coordinator in the Amazon region while Jhonny Anderson continues to provide leadership as the W|W National Program Manager. 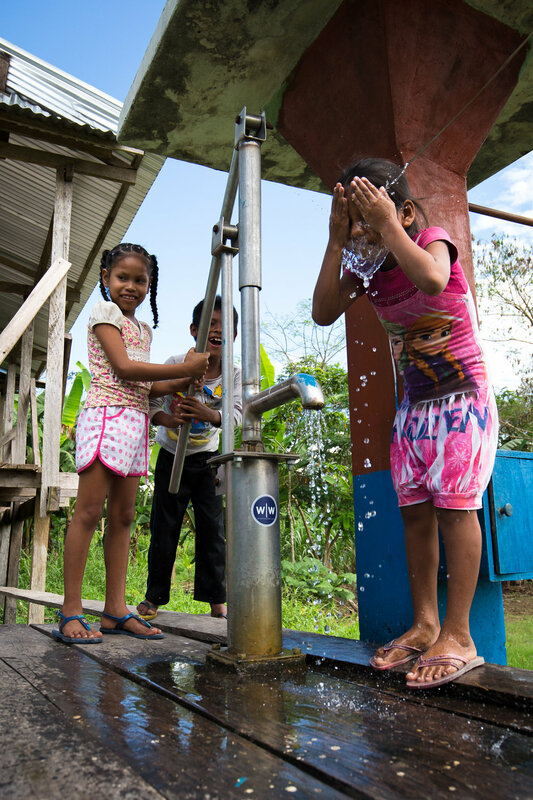 Thank you for your continued support of Wine To Water Colombia! Thanks to the work of Jhonny and Ana Maria, the team was able monitor and assess filter utilization in more than nine communities and provide training in the proper use of filters. We followed up on forty-two filters in nine communities. In the northern regions of Colombia, Jhonny visited 4 different communities in a very desert sector, including: Rancheria el Divi Divi, Santa Clara, Puerto Caracol, and Patsuamana. In partnership with Overseas Adventure Travel, 71 filters were distributed between all these communities. Click through the interactive map below to view impact and see the Filter Program activity from July - December 2018. Community conversations on WaSH challenges and sustainable solutions were initiated in conjunction with the monitoring process. 11 communities (San Juan de los Parentes, San Antonio, San Pedro, Chineria, Puerto Alegria, Macedonia, Puerto Narino, Nazareth, Ronda, Santa Rosa, Porto Alegre) decided to initiate an educational processes on good practices in the use of water and hygiene. These 11 communities are each forming a committee of water users that allows W|W to have better communication with communities and at the same time facilitate projects that are self sustainable through local management and resources. Based on W|W models from other regions, Water User Committees become a voice in their communities to increase awareness of the people’s WaSH needs, increase local ownership, and gain input on WaSH solutions. The idea is that through ongoing meetings with WUC, we can develop projects that are community led that we can support. The programs will be heavily education focused, developing lessons with community health leaders focused on topics around Water, Hygiene, and Sanitation practices. After thorough training, we want to transition into community resilience programs where the people can manage their finances and develop businesses to bring themselves out of poverty. This is the work and vision for where the Colombia program is headed. Baseline surveys have been conducted in the communities of Macedonia, Santa Rosa, Puerto Narino, and Puerto Alegria to help our team make informed decisions for each community. Jhonny and Ana Maria will be completing surveys in additional communities in the coming months. After baseline surveys are completed and Water Use Committees are formed, communities start an education program based on the Sawyer filter and water contamination. Filter distributions will also be planned once the community completes the filter training. The filter training will be the first of a number of trainings directed to help the communities learn proper WaSH behaviors. 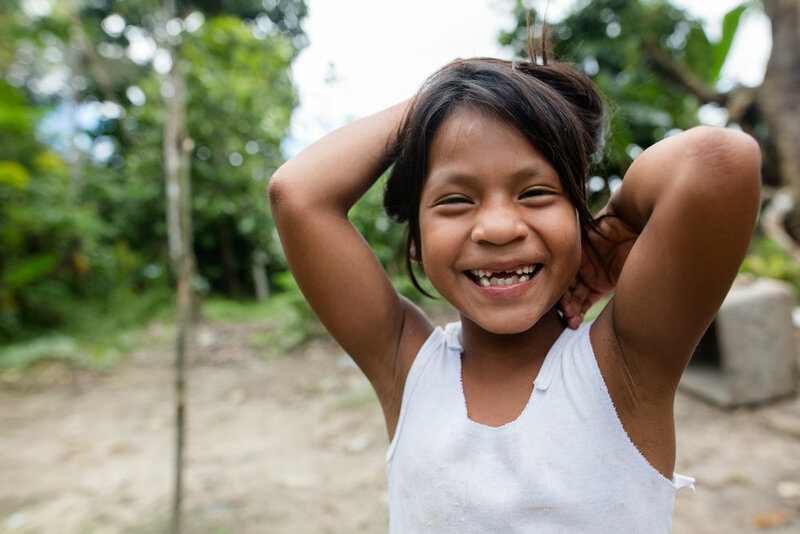 While projects continue in the Amazon, W|W is keeping tabs on how we can help in the North. Jhonny assessed our ability to help Venezuelan refugees, after which we realized we cannot help them in a sustainable way right now, as many people are not in a central location for long periods of time. This makes monitoring and sustainability very difficult, so we will continue to monitor the situation in the North. Scroll down for videos and photos detailing the overall impact. When you step off the plane in Leticia, Colombia, the heat presses into you and then quickly surrounds you like a thick sweater. It always takes a few days to adjust to its weight. I’ve been traveling to the region, at least once per year, since 2014. The remote landscape and the clash of the old and new world have become familiar friends. Like good friends, they always challenge me to think differently and to lean into the wisdom of others. Glimpse of our work in the Amazon! THANK YOU Grand Circle! We are grateful for your support!